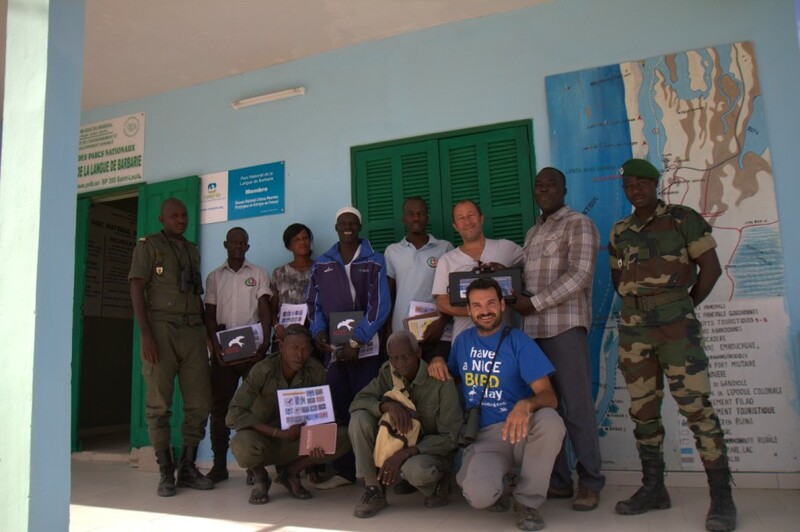 Last winter, Blanca and Rafa from Ecotono Birding Sevilla started to collaborate in conservation project in Senegal in “Langue de Barbarie” National Park with the NGO Tougoupeul. Our aim is monitoring the wintering and resident bird species at the National Park and also to asses the park to create a management plan for this important area in north Senegal. The National Park ‘ Langue de Barbarie ‘ is situated in the South of Saint-Louis, and covers the region of the estuary of the river, the Senegal. Until 2003, the river flowed parallel with the ocean on a length of about 30 kilometers; between the ocean and the river was a piece of land of 400 meters wide at the most. The Park is also very important for many species of birds, like Osprey, Pelican, Terns, Grey headed Gull… but also for 4 species of sea-turtles, who make their nest on the ‘Langue’ once a year, and for Monitor Lizards. In 2003 a breach has been opened in the Langue, South of Saint-Louis and North of the National Park. First, the breach was 5 meters wide, and meant to protect the old part of the town of Saint-Louis, which is situated on an island in the rivermouth, and also to create a shorter way to the ocean for the fishermen. Today the breach has a width of 5 kilometers. When the breach was made, the force of the ocean water had not been taken into account. This way, a new system of currents was created; today, the original estuary of the river is completely bogged down, and the Langue is more and more prey to the ocean, from the southern direction. From the North, the Langue is growing again, but not at the same pace. The ecosystem of the National Park ‘ Langue de Barbarie ‘ is changing quickly today. The plans of the administration are not tuned anymore to the actual situation . The Non Profit Organisation Tougoupeul has received a contract for two years from the Senegalese government to check the administration plans for the National Park ‘Langue de Barbarie’. But a plan without precise information is not a plan. From November 2015 on we are starting with the monitoring work. We are working there in order to help the local Park rangers with the monitoring: how, where and when the birds must be counted, etc. The data are digitalized, and especially, we train the local staff members of the Park how to take the data and how to analyse it. Depending on the results, action plans are made up, and the National Park can start a new future. The local inhabitants are, of course, involved in this project; without them there is no basis to continue this project. Paradise for Birds, Ospreys and a new species for Senegal! 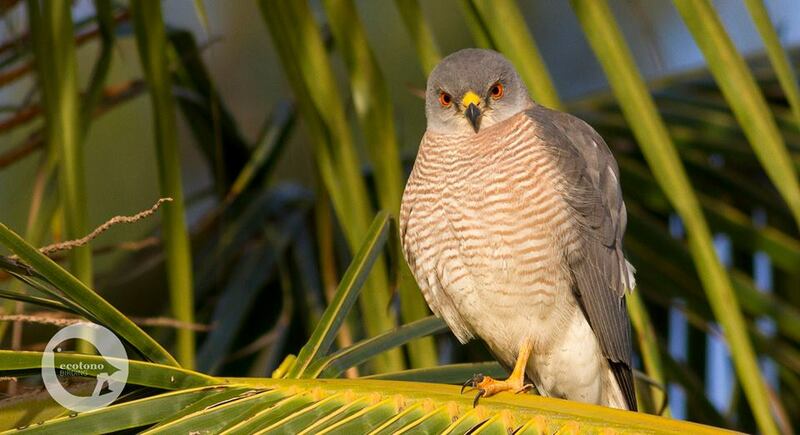 Over 115 species of birds have been recorded during our stay at Langue de Barbarie. Among them, we were surprised with the big amount of wintering Ospreys, around 170 individuals are wintering in Langue de Barbarie. 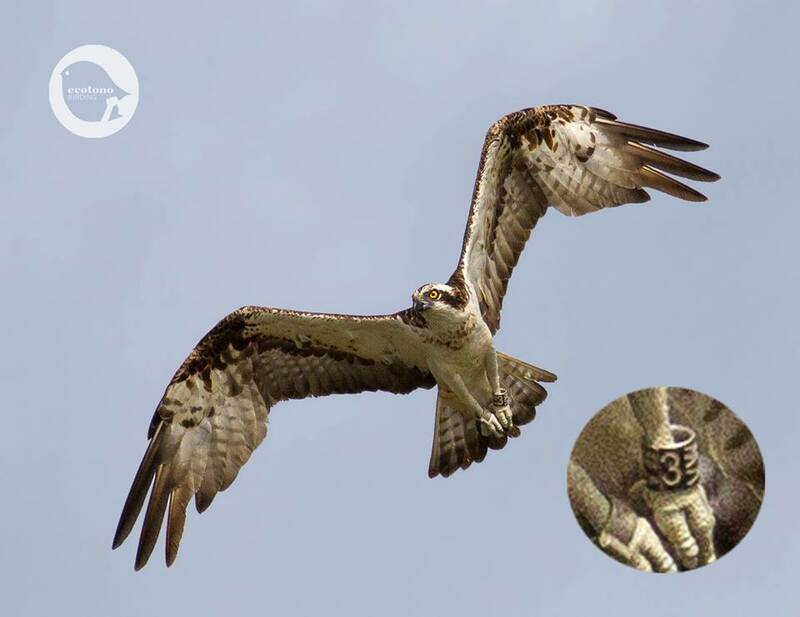 We could read many rings from birds coming from Germany and Great Britain and also we spotted one bird (UV) a juvenil tagged with a GPS by Kielder Osprey Project in the north of England. In their blog you can follow the amazing life of this Osprey and other birds tagged in this interesting and important project. UV came back England in spring and it is already going south. Hopefully we will be with it next winter in Langue de Barbarie! Another interesting sigh during our stay was when we saw an unexpected Thrush in the north part of the park. It was perched in a tree next to feeders visited by various bird species, including doves, weavers and Greater Blue-eared Starlings. After consulting relevant literature and comparing photographs on the internet, we identified the bird as an Eyebrowed Thrush Turdus obscurus! The white tips to the greater coverts and the white throat indicated it was a first-winter. Eyebrowed Thrush breeds in central and east Siberia, and winters in south and south-east Asia, from north-east India to Taiwan and the Greater Sundas. It is a rare but nearly annual vagrant to Europe in autumn. In Africa there is just one previous record, of a first-winter photographed at Merzouga, Morocco, on 17 December 2008 (Messemaker 2009), c.2,100 km north-east of our record. 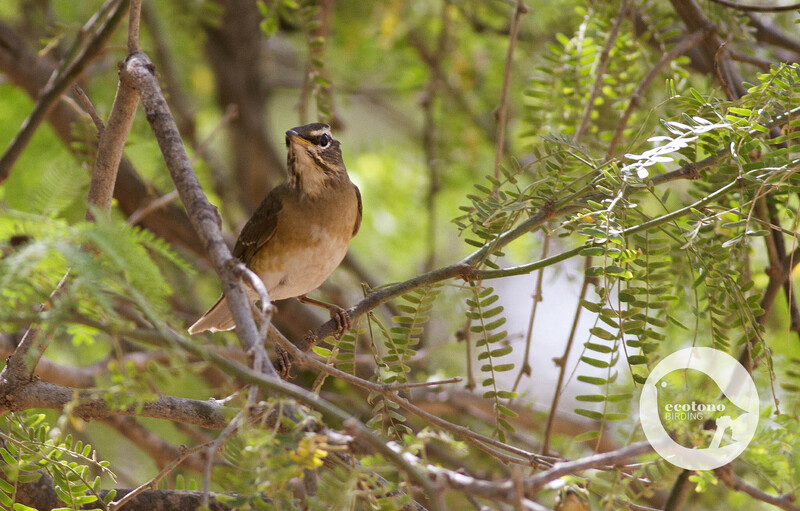 The sighting reported here is thus the first documented record of Eyebrowed Thrush for Senegal and sub-Saharan Africa, and also the south-westernmost ever! For the upcoming season (November 2016 until January 2017) we are glad and very happy to announce that we will come back again to this wonderful place with such a nice people. This winter we will focus our work on the wintering Ospreys and we will start a ringing project with passerines. Let’s see what is new, lot of things to discover and learn! 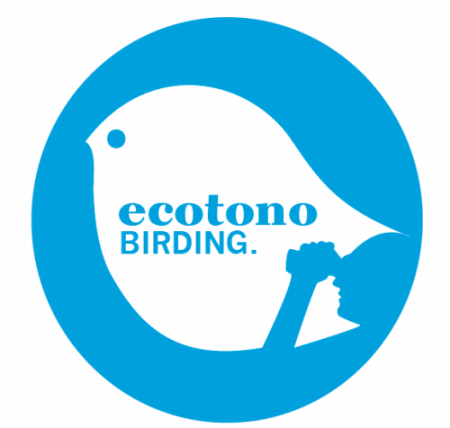 In Ecotono Birding we are always motivated to be involved in conservation projects all over the world, but your help is also very important. To get it possible our funds come mainly from donations of people like you. If you want to be involved and support our work please visit Tougoupeul webpage ! 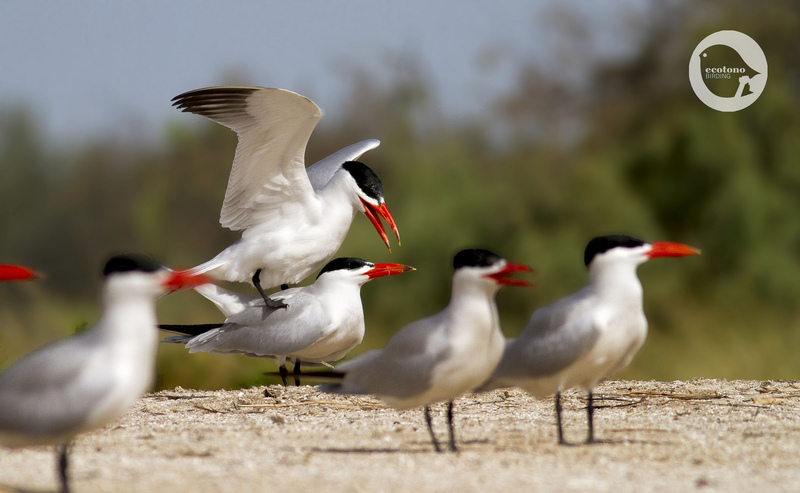 Join us in the conservation and protection of nature in Senegal! Thanks to all the people who somehow have participated in the project! especially Dirk Vanhoecke for inviting us to carry out the study, Moussa Fall director of PNLB and all the park staff, especially Moussa Niang and Saliou Coulibaly, for assisting us in many ways. To all the staff of Zebrabar for taking care of us and give us such a good senegalist food! 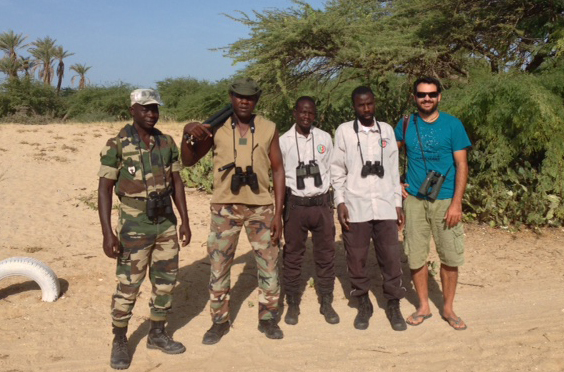 Thanks to Sights of Nature for donating the optik for the Rangers, to Manu Mojarro for donating the tripod for the scope and Julio Roldán for bringing it to Senegal. To Simon Cavaillès for helping us with the identification of the Thrush, commenting on the article and joining us during the counts. To Jean-Jacques Guitard and Pau Lucio to help us in some counts. Many thanks to all the visitors, donators and people interested in situ in our work in Senegal. Magnificent photos & commentary looking forward to more news of UV and your other sightings in Senegal this year. Thank you David, we will look for it and hopefully we will be very happy to spend the winter with him and the other Ospreys at Langue de Barbarie! Great! He is on the way, last adventure to cross the Sahara and after that welcoming in Senegal! It is not easy for raptors to cross the desert but UV has already the experiencie as it is not the first time. Crossfingers!